CARL Frampton admits that dropping back down to super-bantamweight is “probably unrealistic” for him but he could be tempted if he had the offer of a world title fight at 8st 10lb. 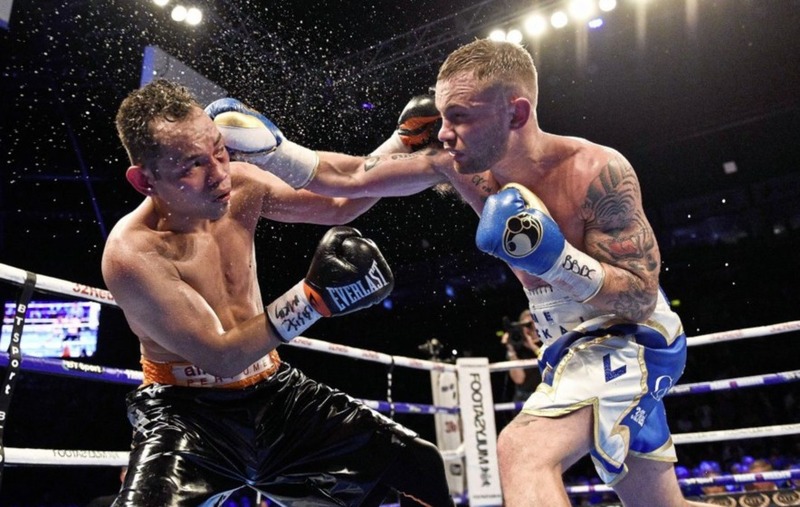 The fact that he was considering returning to super-bantam (he was WBA and IBF champion at the weight before moving to featherweight in 2016) conjured up the possibility of a rematch with former foe Nonito Donaire. After losing to Frampton at 9st last year, the 36-year-old Filipino dropped four pounds and challenged Ryan Burnett for the WBA super-bantamweight title. 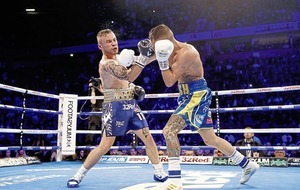 The move paid off after Belfast’s Burnett was forced to retire from their World Boxing Super Series quarter-final showdown in Glasgow with a slipped disc. 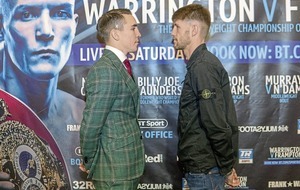 Having met a relaxed Frampton with no weight worries the day before he hit the scales for his December 22 IBF featherweight rumble against Josh Warrington, it doesn’t seem inconceivable that he could shed the four pounds necessary to challenge Donaire at super-bantam. But he says it is a long shot. 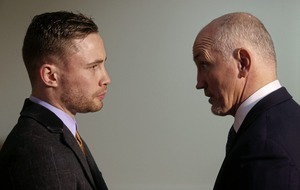 “I’m keeping all my options open but it’s probably unrealistic to be honest,” Frampton told The Irish News. “I want to keep all doors open and all I want to do is fight for a world title so if an option came at super-bantam I would potentially think about it. But I’m not saying that I’m moving down to super-bantam. 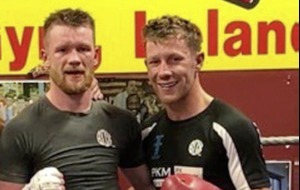 FEARGAL McCrory has been sparring in Gleeson’s Gym, New York in preparation for his Irish lightweight rumble with Dubliner Karl Kelly at The Ulster Hall on February 9. 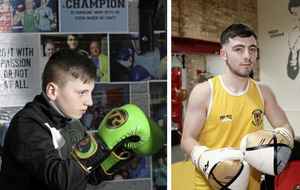 The Coalisland native (9-0) steps up in weight to accept the challenge of Dublin tough nut Kelly (2-2), who is dropping down from super-lightweight and secured the services of Ireland’s legendary unified world lightweight champion Katie Taylor in his preparation. 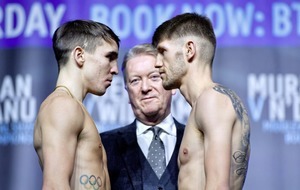 McCrory was due to face Stephen McAfee for the vacant Irish Super-featherweight title (vacated by James Tennyson) last year before being forced to withdraw due to injury. While attempts were made to reschedule the contest on next month’s card, McCrory decided to take this opportunity at the higher weight. A confident Kelly recently stated that he would “take McCrory out” inside six rounds and would not be leaving the decision to the judges. “The harder they come the harder they fall,” countered McCrory. The card includes the return of European & Commonwealth champion James Tennyson following a recent unsuccessful IBF World title fight in October. He looks to bounce back with a must-win contest against Portsmouth’s undefeated Garry Neale up at lightweight. 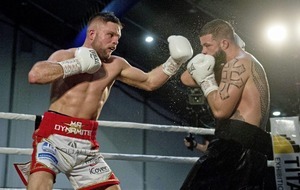 Former IBF European Lightweight Champion Paul Hyland Jnr continues his charge towards another British title shot when he takes on the Czech champ Miroslav Serban while stablemate Tommy McCarthy begins in on his own Lonsdale belt challenge with an eight-rounder over the strong Jiri Svacina. 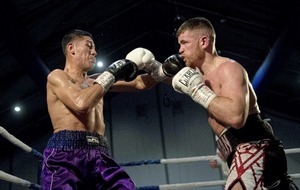 Luke Wilton continues is comeback after victory on Saturday night in Scotland while Matthew Fitzsimmons and Alec Bazza go toe-to-toe in a Belfast derby rumble. 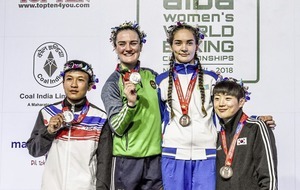 Female professional boxing also returns to the Ulster Hall after a 19-year absence when Cathy McAleer looks to build towards a third world title in as many disciplines with a four round contest with the durable Sonia Klos of Poland. Tickets are available from www.ulsterhall.co.uk or from the boxers. 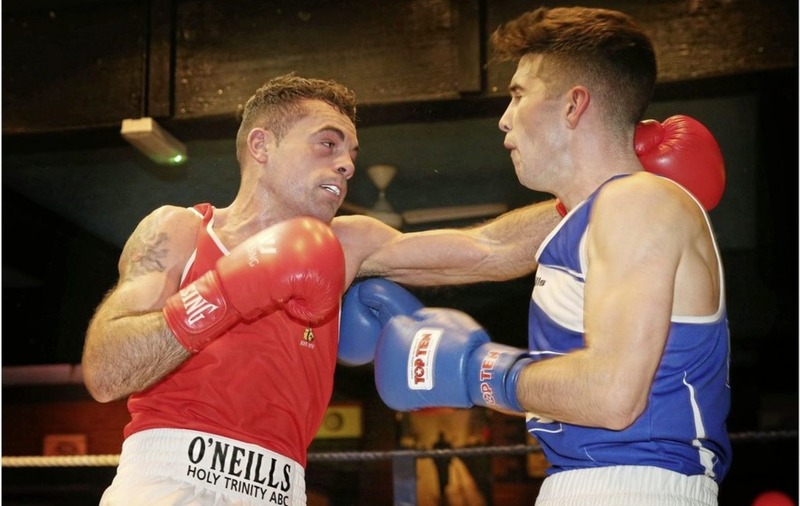 KEADY’S former Commonwealth Games bronze medallist Sean Duffy will make his professional debut at The Ulster Hall on March 29. Duffy gets a slot on the undercard of the Conrad Cummings versus Luke Keeler headlined bill also includes Tyrone McKenna, Tyrone McCullough, Sean McComb, Gary Cully, Steven Ward, Steven Donnelly, Taylor McGoldrick, Padraig McCrory and Callum Bradley. 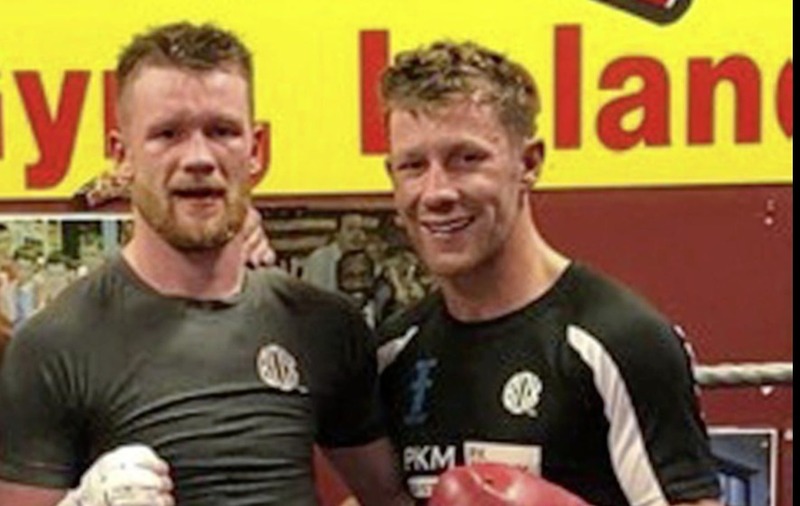 Former Holy Trinity ABC welterweight Duffy explained: “I have boxed in the Ulster hall a couple of times and although I didn’t get the result on one occasion, every time I've stepped out of that ring I've been the stronger and more confident fighter. “I know ticket sales for this one are going very well so I'm expecting a loud atmosphere in the Ulster Hall. I won't be showing any mercy when I step through them ropes and my fans will get what they paid for. “There will be a few nerves for the first one but I've been in pressurised positions before so I know I can deal with the situation. 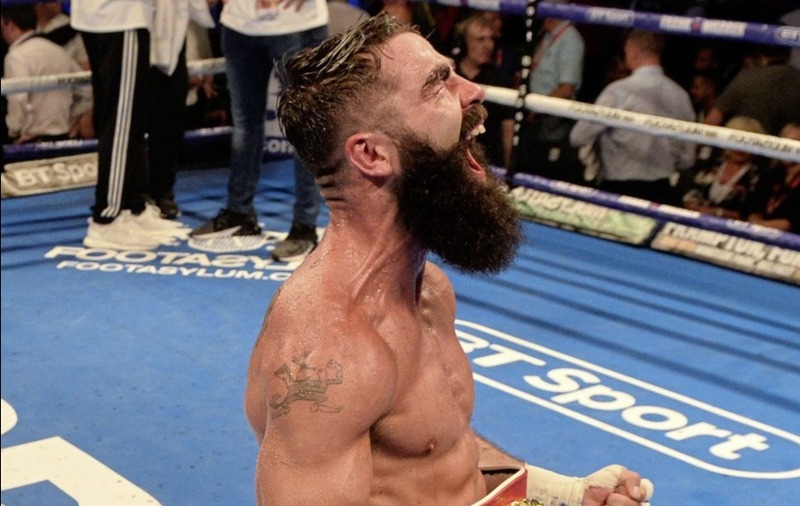 JONO Carroll predicts that he’ll “do what he wants” with Tevin Farmer when he meets the IBF super-featherweight champion on his home patch in Philadelphia on March. The Dubliner talks a good game but he will find out that the “tiny little child” is quick and slick and can hit when he meets him at the Liacouras Centre on St Patrick’s Day weekend. 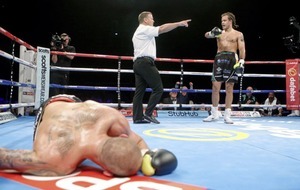 Although the fight was stopped prematurely, Farmer looked mighty impressive against James Tennyson in Boston in October last year while Carroll was fortunate to salvage a draw against 35-year-old Frenchman Guillaume Frenois in his last fight. 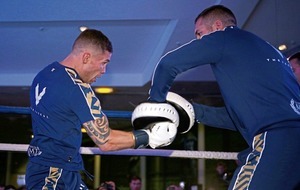 Carroll is confident and brash and, although he will step up several levels against ‘American Idol’, he won’t be out-worked in the pre-fight verbals. “I'll do what I want with Tevin, he's a tiny little child and I'm not afraid of him,” said Carroll. “When we meet, if he's respectful of me, I'll be respectful back as that's how I've been brought up - but if he comes talking rubbish then I'll put him in his place. Since his TKO win over Tennyson, Farmer (28-4-1) has made a third defence of his crown with a wide points win over Francisco Fonseca in New York in December. He predicts a one-sided beat down for Carroll on the night. “He's got a world title shot on St Patrick's weekend, he should be thanking me,” said Farmer. 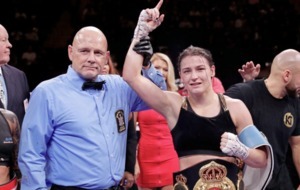 The bill also features Katie Taylor who can take another step towards her goal of becoming the undisputed world lightweight champion by adding 14-0 Rose Volante’s WBO belt to her WBA and IBF titles. 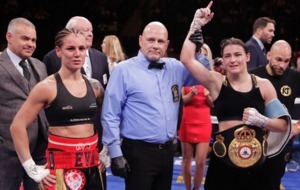 Taylor (12-0) added the IBF strap to her WBA title in April against Victoria Bustos in New York and has since defended the titles three times, stopping Kimberly Connor in three rounds in London in July before shut-outs against Cindy Serrano in Boston in October and ending a stunning 2018 by beating Eva Wahlstrom in New York in December.